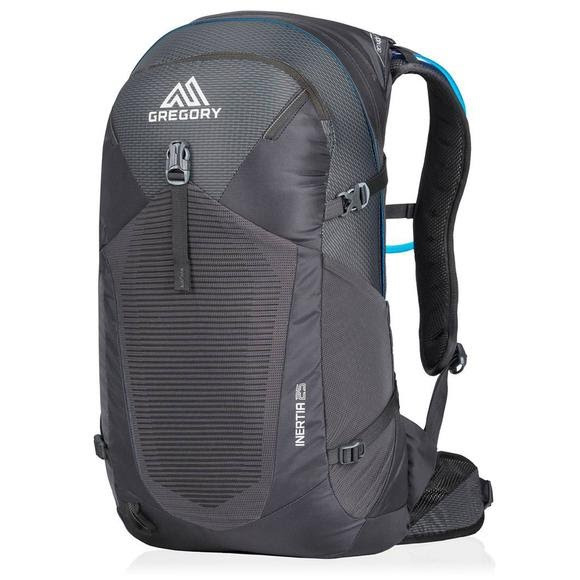 Gregory's Inertia 25 is a loyal companion for a full day in the outdoors. The main compartment stows bulky layers while stretch exterior stuff pockets handle overflow and small items like sunscreen. Stay hydrated with the included 3D Hydro Reservoir. Gregory &apos;s Inertia 25 is a loyal companion for a full day in the outdoors. The main compartment stows bulky layers while stretch exterior stuff pockets handle overflow and small items like sunscreen. Stay hydrated with the included 3D Hydro Reservoir.